Not my words of course, but those of Freddie Mercury, who was not only a killer queen as it happens, but a killer vocalist to boot! The best, in fact. It’s been proven by scientists. A group of Austrian, Czech, and Swedish researchers conducted the research, which was published in Logopedics Phoniatrics Vocology. 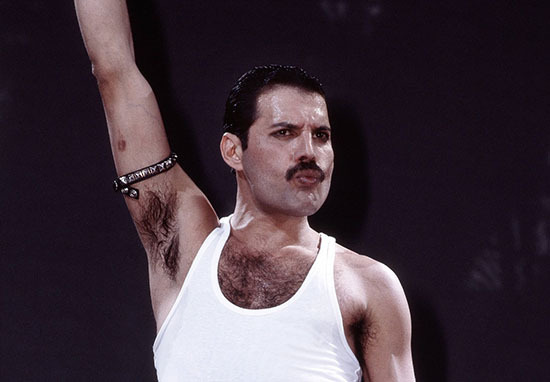 While they didn’t confirm the urban myth that Mercury’s range spanned four full octaves, they did uncover some spellbinding facts about the singer’s voice. First off, despite being known mainly as a tenor, he was actually closer to a baritone. The team of researchers based this off six interviews he did which revealed a median speaking fundamental frequency of 117.3 Hz. That, on top of ‘anecdotal evidence which Mercury once turned down an opera duet because he was afraid fans wouldn’t recognise his baritone voice’, was good enough proof the singer was talented enough to split away from his base range. The team then went the extra mile by brining in rock singer Daniel Zangger Borch to imitate Mercury’s voice (good luck!). They filmed his larynx at 4,000 frames per second in order to look at exactly how Mercury managed to do what he did. They found he likely used subharmonics – a singing style where the ventricular folds vibrate along with the vocal folds. 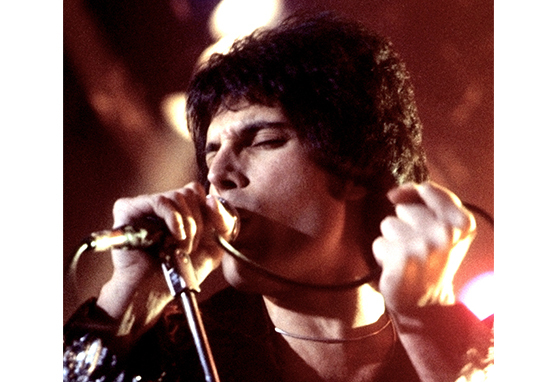 Rather annoyingly for would-be singers, Mercury’s vocal cords simply moved faster than other people’s. While a typical vibrato will move between 5.4 Hz and 6.9 Hz, Mercury’s was 7.04 Hz. Quantitative analysis utilizing a newly introduced parameter to assess the regularity of vocal vibrato corroborated its perceptually irregular nature, suggesting that vibrato (ir)regularity is a distinctive feature of the singing voice. Imitation of subharmonic phonation samples by a professional rock singer, documented by endoscopic high-speed video at 4,132 frames per second, revealed a 3:1 frequency locked vibratory pattern of vocal folds and ventricular folds. If you don’t know what any of that means, don’t worry. Neither do I.
Let’s just celebrate the fact he managed to bag such an accolade. Happy 72nd birthday chief.